Many people are aware of the importance of getting screened for skin, colon and breast cancer, but you don’t hear about oral cancer as often. Oral cancer rates have increased in recent years and it’s even been found in young people who don’t smoke. As with any cancer, screening and early detection is one of the best ways to improve the prognosis. In fact, the survival rate is 85-90% when oral cancer is found early. Fortunately, screenings are easy to get because every checkup with a dentist in Homer Glen includes one. Learn more below about this important topic and find out how simple screenings are. 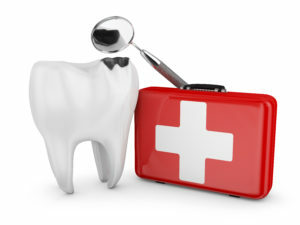 You’ll be taking an important step towards better oral and overall health! Learn The Functional Benefits of Invisalign in Homer Glen! 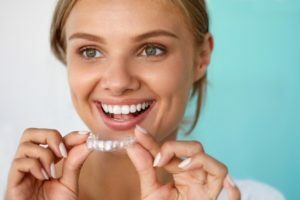 When people think of Invisalign in Homer Glen, they tend to think about how teenagers and adults can straighten teeth without making dramatic changes to their appearance. While these aesthetic benefits are true, Invisalign® can offer so much more than simply an aesthetically pleasing smile. And, when you visit Dr. DeAngelo’s office for your Invisalign treatment, you can take advantage of his special offers, including $500 off for a full case of Invisalign treatment or $250 off for Invisalign Express! 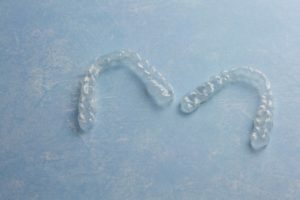 To learn more about the benefits Invisalign has to offer, keep reading! Comments Off on Learn The Functional Benefits of Invisalign in Homer Glen! Children have, and continue to be, one of the most vulnerable groups to dental disease. 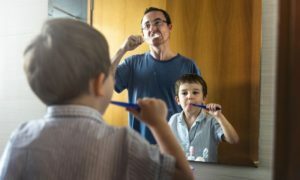 But the negative side effects of dental disease don’t only carry the potential to wreak havoc on your child’s oral health. They can become so serious that it affects their everyday life as well. However, there are ways to avoid these issues. That’s why for Children’s Dental Health Month, you can stay informed on the most common dental issues affecting America’s youngest and how routine visits can make a big difference. Consider the facts from a children’s dentist in Homer Glen. The holidays are one of the most exciting times of the year. Eating foods you don’t see throughout the year, opening gifts, seeing extended family members and complex decorations around the neighborhood; it’s hard to find a holiday more eventful. With that said, the last thing you want is for a dental emergency to interrupt your time with family or force you to dip into funds that were being saved for gifts. By knowing these preventive tips from an emergency dentist in Homer Glen, you certainly won’t have to. Do you have damaged teeth? 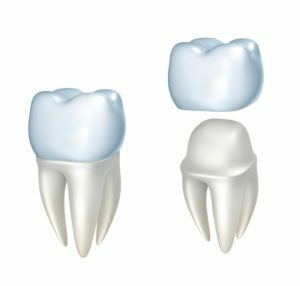 Dental crowns in Homer Glen can quickly rehabilitate their health and function. Although you know they can help, you are tempted to put them on hold. You do not have the time for multiple appointments in your busy schedule. While it may be tempting to wait, it could cause the loss of your teeth. Instead, it is best to have them repaired as soon as possible. Need Replacement Teeth? Learn About Dental Implants in Homer Glen! Has missing teeth made it far more difficult for you to enjoy your favorite foods? Are you afraid of smiling because you feel self-conscious, even around your friends and family? Does the thought of denture adhesive coming into contact with your mouth make you squirm? 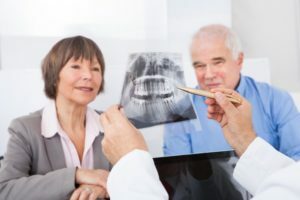 If you answered yes to any of these questions, it’s time for you to consider dental implants in Homer Glen. 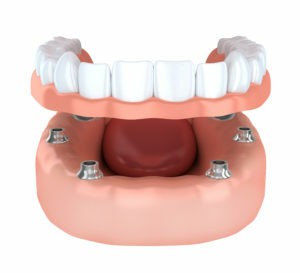 Unlike dentures, dental implants address your tooth loss at the source. Keep reading to learn more about the benefits! Comments Off on Need Replacement Teeth? Learn About Dental Implants in Homer Glen! There’s nothing worse than being forced to make dramatic changes in the habits you’ve made for years, but sometimes it’s necessary. In the case of traditional orthodontics, it’s extremely inconvenient to change your brushing and flossing habits to accommodate metal hardware. In many cases, people choose not to even bother and suffer the consequences as a result. With Invisalign in Homer Glen, you don’t have to make those dramatic changes. Instead, just follow these three steps for the smoothest care possible. It’s 2 am on Tuesday and you wake up with a pounding toothache — what next? For this or any other urgent situation (like a broken or knocked out tooth), a trip to the emergency dentist in Homer Glen should certainly be in order. But before you can make it into the office, there are some things you can do in the meantime that will help to get you out of pain and increase the chances of successful treatment. 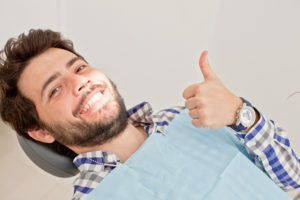 Keep reading for 5 tips on what to do after a dental emergency. Take heed and you’ll be out of pain and on with your life before you know it! The path to straighter teeth doesn’t have to be filled with embarrassing yearbook photos, dramatic changes in diet, or hours spent adjusting your oral care routine. Invisalign in Homer Glen makes it easy to maintain your appearance, diet, and oral care all at the same time! However, that doesn’t mean you should go into treatment blind. 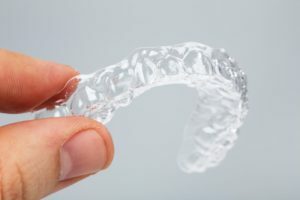 While Invisalign generally takes less time to complete, there’s a certain level of commitment you’ll need to maintain the benefits compared to traditional orthodontics. Here’s what your dentist recommends.